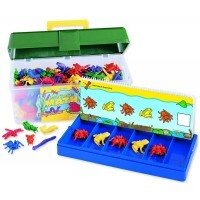 Super Sorting Pie Early Math Learning Toy adds a great play element into refining motor skills, plus enhancing critical thinking skills. 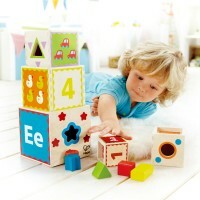 Learning has never looked yummier than when the kids play with this sorting toy pie! 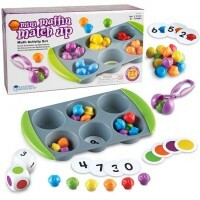 Super Sorting Pie Early Math Learning Toy adds a great play element into refining motor skills, plus enhancing critical thinking skills. 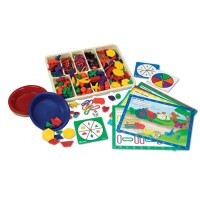 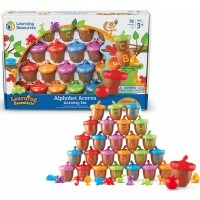 This colors and shapes sorting toy by Learning Resources comes with the double-sided sorting cards that slip into the bottom of the pie pan to provide the visual clues for the kids. 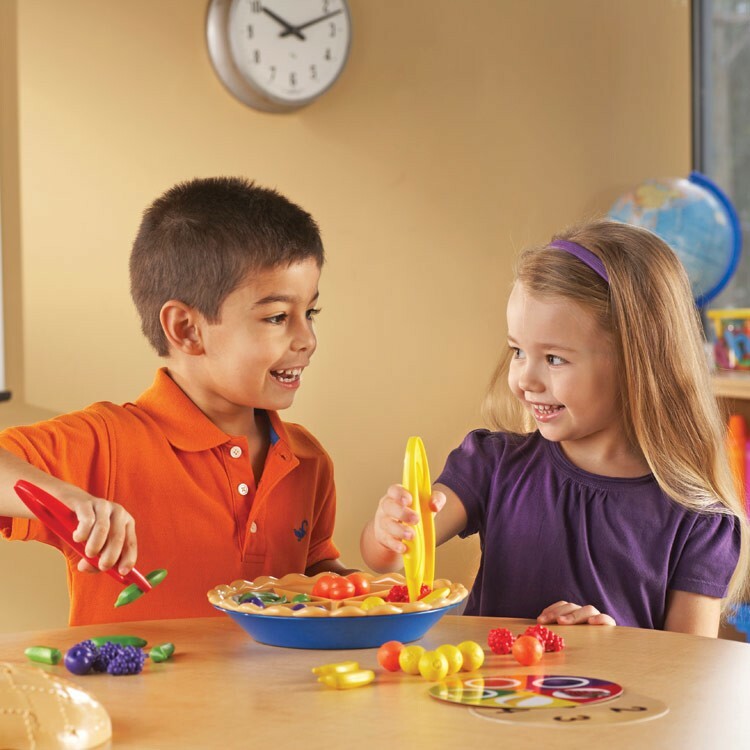 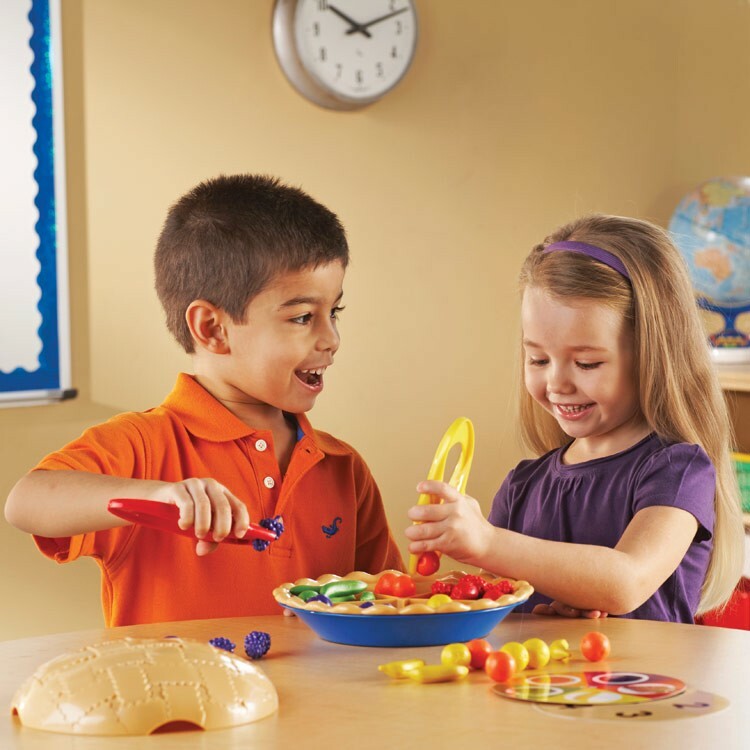 Super Sorting Pie Early Math Learning Toy contains 60 fruit pieces counters, including apples, bananas, grapes, oranges, grapefruits, apricots and plums, in 5 bright colors. 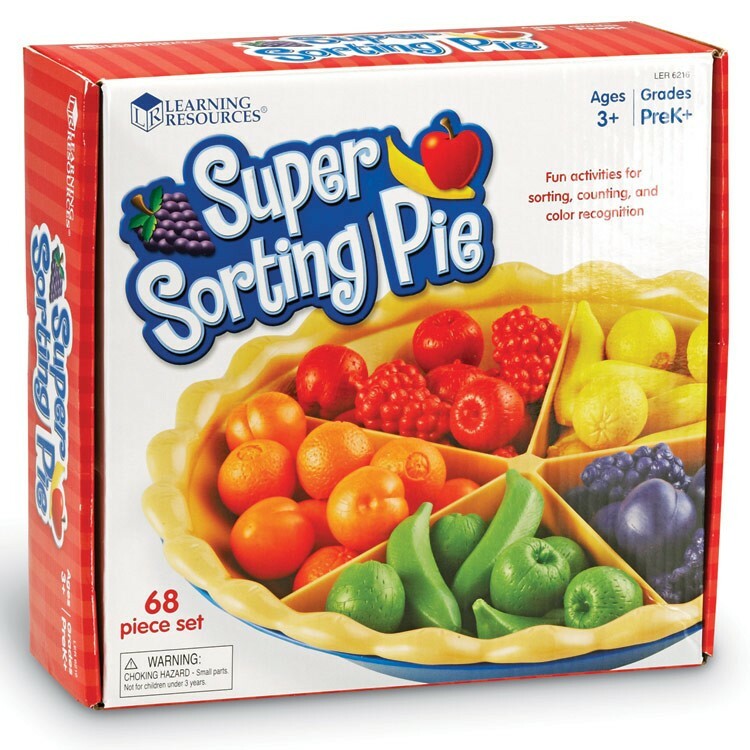 This fruit sorting set also comes with 8.75 inches in diameter sturdy plastic pie, removable sorting divider, 3 double-sided sorting cards, 2 jumbo sized tweezers and learning activity guide. 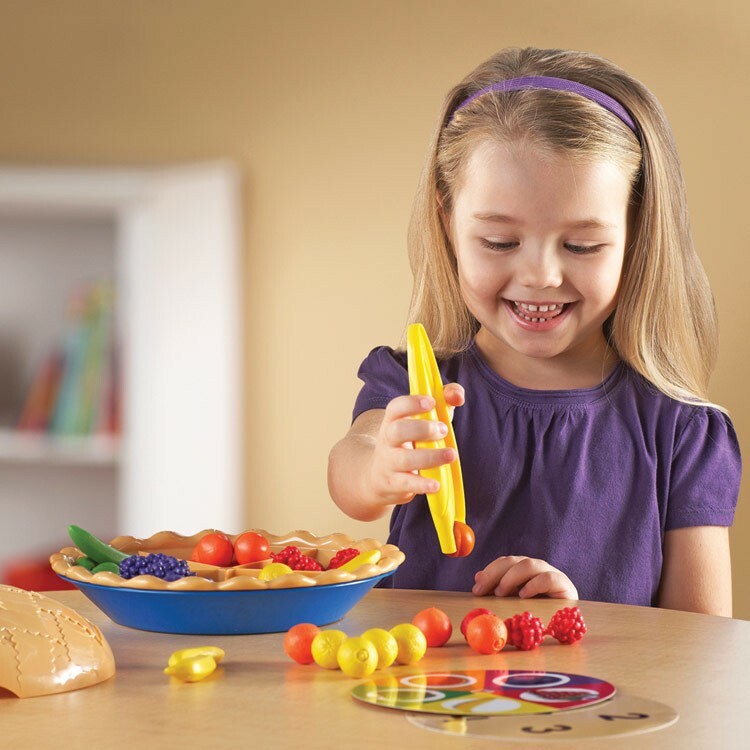 This manipulative activity toy from Educational Toys Planet features a top crust that becomes a closing lid to keep the fruit pieces neatly stored. 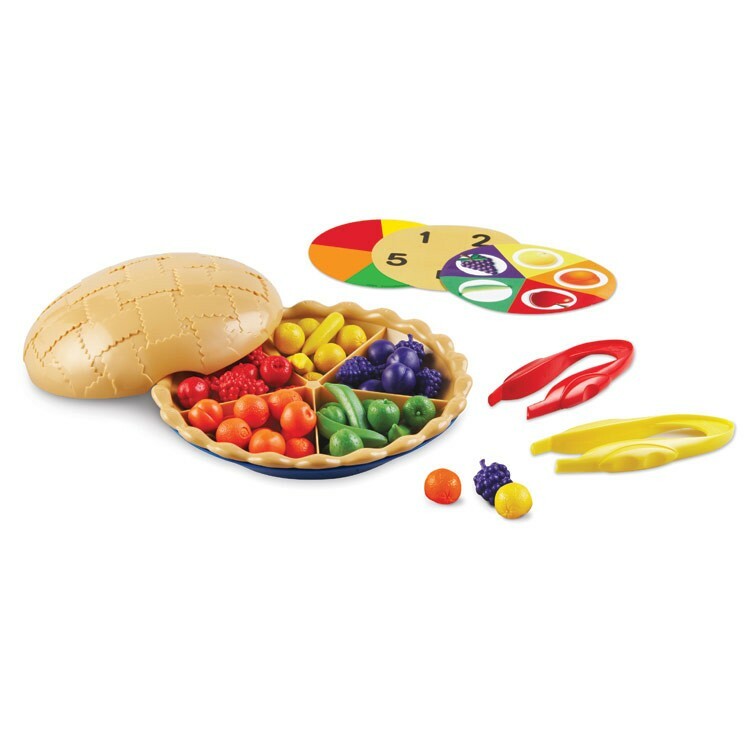 Sort, count, and play pretend dinner as you learn colors, shapes, classification and more with this highly educational toy pie! 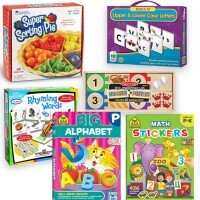 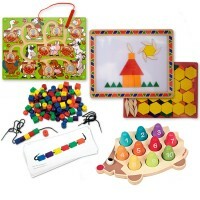 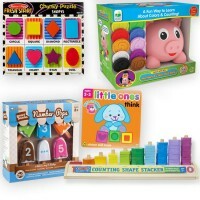 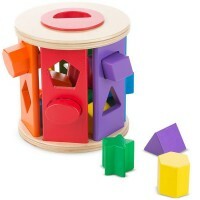 Dimensions of package 9.5" x 9.3" x 3.6"
Write your own review of Super Sorting Pie Early Math Learning Toy.